I am pleased to provide this overview of activities since the last CNR meeting in Budapest June 2018, and items from the IFNA CPC and Officers meeting in Athens, Greece Nov. 29 - Dec. 1, 2018. I wish everyone a peaceful and happy remainder of 2018, and hope you all have time off to spend with your loved ones. IFNA APAP Manager Marianne Reisen and I attended the Nurse Practitioner/Advanced Practice Nursing Network ICN meeting in Rotterdam in August. Our APAP abstract was accepted for an oral presentation. We had an audience of about 20 attendees for our 30-minute presentation on the IFNA Anesthesia Program Approval Process and it was an excellent opportunity to showcase the IFNA, our global education program accreditation process, and the opportunity we have for strengthening the safety of anesthesia care on the international level. To this time, we are the only profession that has a global education program accreditation program. The G4 Alliance is a very busy organization. There are monthly conference calls for the Board and the Permanent Council. There are now over 80 organizations that are members. We were the first nursing organization to join the Alliance. I was voted as a board and permanent council member in November 2015 for a period of 3-year term of 2016 -December 2019. In January 2016, the board elected officers and I was elected as Treasurer and I have served in this busy role for 2 years. As of January 1, I have resigned the Treasurer position, but will remain as a member of the Board of Directors through December 2019. We have monthly conference calls and 2-3 board meetings each year. ED Rod serves on the membership committee. The May meetings are held in conjunction with the World Health Assembly. 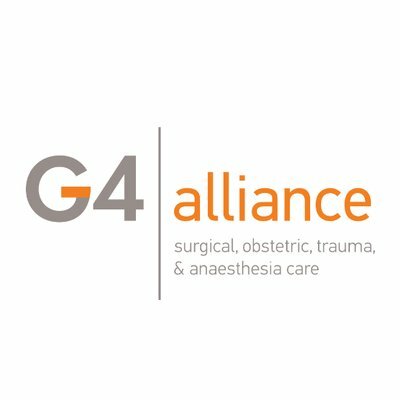 The G4 Alliance has sponsored a health event, in partnership with the GE Foundation, on opening day of the WHA the last two years. This year’s event was centered on Women’s Health and over 200 people participated. IFNA’s participation in G4 has raised the visibility of recognition of not just IFNA but the specialty of nurse anesthesia overall. The networks we have made working with other organizations in the Alliance are opening doors for us with multiple other high-level organizations. A international, non-profit health organization associated with John Hopkins University in the USA. JHPEIGO has been in existence for 45 years and active in 155 countries. I was asked to have a conference call with their leadership. This call was held in September. The JHPIEGO leadership was quite impressed with the level of achievement of the IFNA work. They stated we had done a lot of great work since we began in 1989 – citing our education and practice standards, model curriculum, and our APAP program development. I was asked to come to Boston to do a face-to-face presentation of IFNA to their team. This will hopefully occur in the first quarter of 2019 and I look forward to working together. The WFSA sent an email to me one month ago asking me to be a speaker at the second annual WFSA SAFE-T Summit. The Summit is in London on April 5th. They will cover my travel costs. I have, of course, accepted the invitation. The Officers and Executive Director will also attend the SAFE-T Summit. I have been having regulation communication with Dr. Jannicke Mellin-Olsen, Norway, WFSA President. We are in the initial planning stages of have a joint meeting of the WFSA/IFNA Officers and Executive Directors on April 6th, the day following the SAFE-T Summit. This will be the first meeting of this kind and will give us an opportunity for discussion, networking, and further collaboration. Ongoing meetings are occurring with the IFNA appointed representatives to the Liaison Committees with the ESA/EBA. Thank you to Jaap Hoeckman (The Netherlands), Ingrid Andersson (Sweden), Marit Vasbotten-Olsen(Norway) and Pascal Rod, ED (France) for representing the IFNA. ESA invitation to partner in the Patient Safety Policy Meeting March 3-4, 2020, in Brussels. The IFNA History Book Task Force is co-chaired by former IFNA President Sandy Ouellette and former Education Committee/APAP Manager Betty Horton. Other members include Hermi Lohnert, Pascal Rod, Susan Caulk and Jackie Rowles. We have hired Mr. Chris Bettin for format and editing purposes. The task force began its work in early 2017 and held a meeting in July of 2017 and June 2018. Many other people are helping with certain chapters or areas of the book and we are still gathering information. We still need help from all of you to gather your country history of nurse anesthesia or non-physician anesthesia. The goal is to have our history book published for our 30-year anniversary sometime in 2019. Several chapters have already been submitted to Mr. Bettin for review. Hui-Ju Jennifer Yang, IFNA Second VP, has been appointed as the Chair of the IFNA Patient Safety Task Force. She will be in contact with the task force members in the next few weeks to begin discussions. The task force will conduct its work via email and online meetings. At this time, we are unable to add anyone to the task force, but all CNR and committees will be consulted during their work as well as to review any work products. We receive many emails via our website asking about requirements to practice in various countries. We forward these emails to the CNR, if the request involves an IFNA Country Member. Thank you to all who have helped with answering these emails and requests. The CPC met in Athens, Greece on November 28thfor an on-site evaluation as Greece is one if the countries who bid to host the 2022 World Congress) and for a committee meeting on Nov. 29th. It was a very successful two days with much work accomplished. Additionally, there was discussion on holding a regional conference in Kenya in 2020 and some initial investigation in to this possibility has begun. The CPC will be conducting an on-site evaluation of Sibenik, Croatia in April 2019. This is the other bid site for the 2022 World Congress. At the May 2019 Officer and Executive Committee meeting, the two sites will be discussed, budgets reviewed, and a vote will occur to select the 2022 World Congress site. Stay tuned! Karin Bjorkman Bjorkelund, Education Committee chair, will be rotating off the committee in after the May 2019 meeting. Dr. Bjorkman Bjorkelund has given IFNA more than 20 years of service and we are so grateful for her work and leadership. Please join us in celebrating Karin’s contributions and wishing her the best. She will never be far from our hearts. 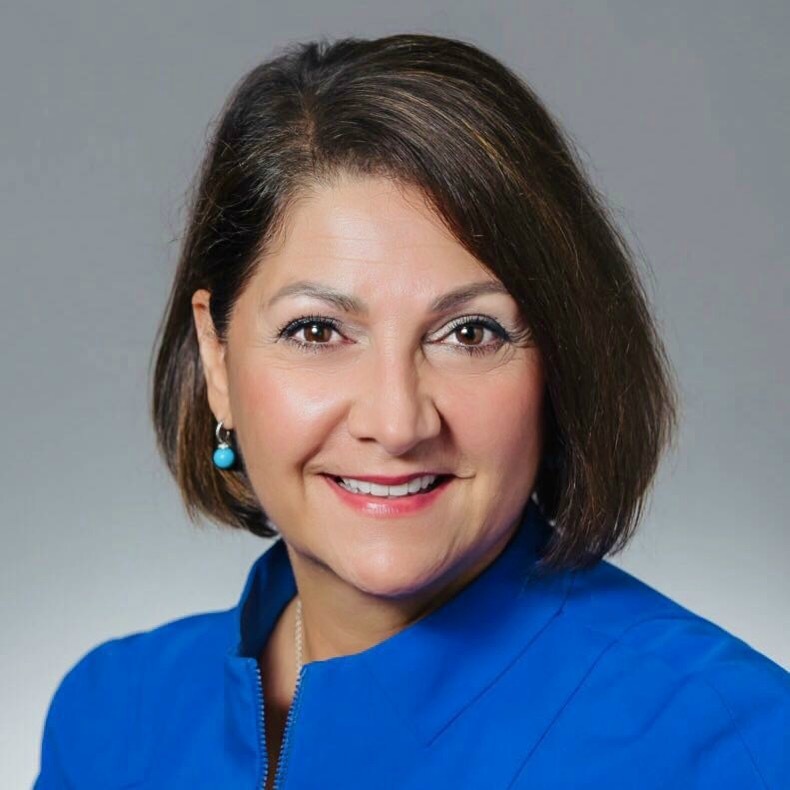 Dr. Rebecca (Becky) Madsen, USA, has been appointed as the new Education Committee Chair and will assume her duties at the May meeting. These changes will leave an opening for the Education Committee. I will soon be sending out a request for nominations to all CNR along with the criteria for the ideal candidate. Remember that geographic representation remains a high priority for selection in order that we have true global representation and communication. Remaining committee members will be from the USA, Iceland, Taiwan, and Switzerland. High priority will be given to nominations from African countries but all candidates are given consideration. IFNA is here to help all our member and non-member countries with advocacy efforts and information to help support scope of practice and education efforts. Please don’t hesitate to contact the Officers, Executive Committee, Education or Practice Committee, or our Executive Director Pascal Rod for assistance. In between scheduled meetings, your Officers, Executive Committee and standing committees do much work via email which makes our face-to-face meetings more productive. It is often the same for CNR information and communication. Thank you CNR for your timely response to email requests. It is an honor, a privilege, and a pleasure to serve as your President. 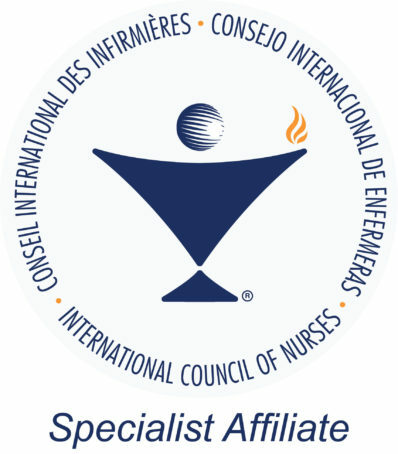 The IFNA is a strong organization and we have been very successful in raising our recognition and respect on the global level over the last couple of years. My goal was to try to increase our communication with each other and our level of involvement in IFNA. Involvement of our CNR and committees are the key to sustaining our effectiveness as an organization. Solo work does not result in best outcomes – it is only through teamwork that we achieve our ultimate goals. I thank all of the CNR, Officers, Committees, and Executive Director, for your dedication, service and commitment each other, and to our beloved IFNA. It is my honor and pleasure to serve you and our profession.